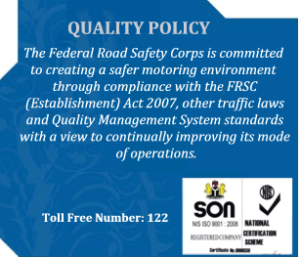 Regular Marshals are uniformed personnel in the Federal Road Safety Corps. The services of a regular marshal is permanently paid and pensionable unlike Special Marshal whose services are voluntary in nature. The “Regular” as the name implies, indicates that the marshal is duty bound to be regular in the discharge of its statutory duties. One of the primary feature of a regular marshal is that they serve as a public relation officer, in order words they protray the image of the Commission to the public.